History | Jewish Federation of Greater Indianapolis, Inc.
"[At the beginning], the Jewish Federation was primarily a charitable society, dispensing coal, groceries, and money for rent; locating husbands who had abandoned their wives; feeding and housing transients; and making small loans to immigrants who wanted to purchase a stand in the city market or a horse for peddling. 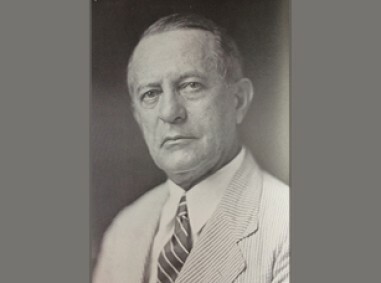 By the [late 1920s], the Jewish Federation had become the central organization of Indianapolis Jewry, overseeing the work of its constitutent agencies in education, social services, and cultural and recreational activities." The Federation was created "to coordinate local social service and philanthropic institutions and to unify fund raising for all Jewish institutions, both local and national. 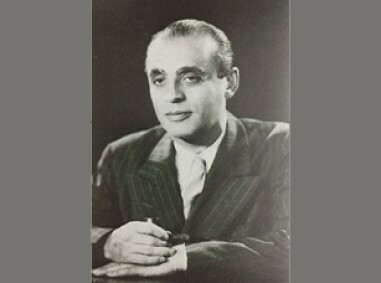 ... From the beginning, the funds raised by the Federation were to serve a dual purpose—​to aid the local community and to extend aid to world Jewry." The old Communal Building, now the Concord Center, at 17 W. Morris St. 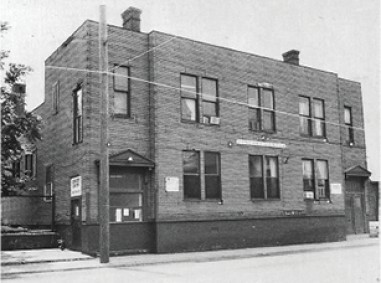 Shortly after the Bureau of Jewish Education formed in 1911 and the JCC followed suit in 1914, the Communal Building was built downtown at the heart of the Jewish community. The Federation used the Communal Building as a base for all of the community activities. 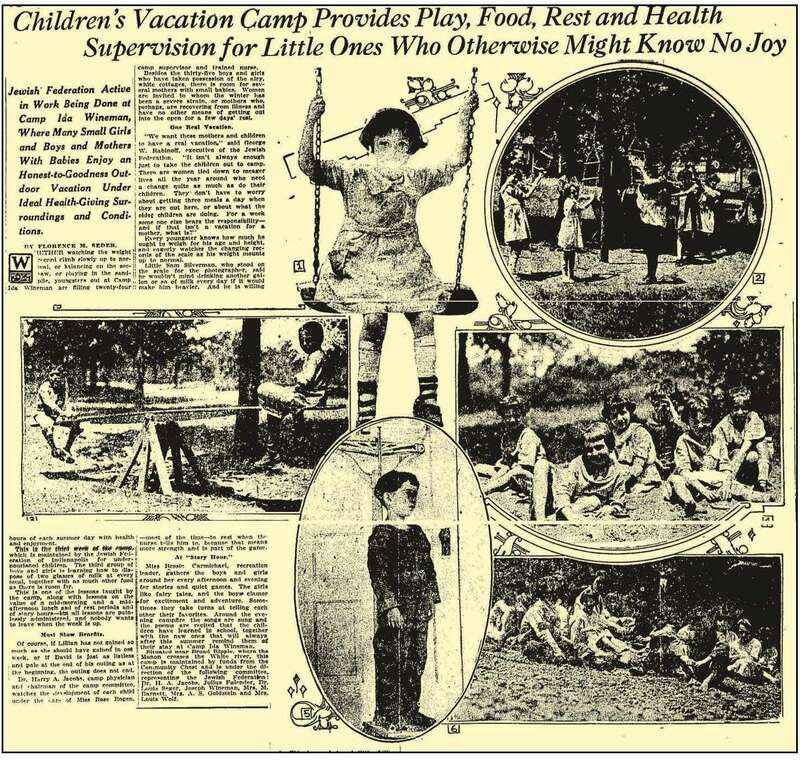 In 1918, the Federation opened Camp Ida Wineman, a summer camp on the banks of the White River in Broad Ripple (near where the Indianapolis Art Center is today) that hosted undernourished Jewish children at risk of developing tuberculosis. 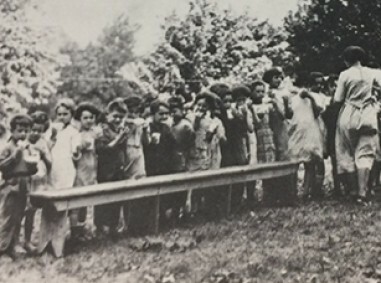 The camp moved to Zionsville approximately ten years later and was renamed Big Eagle Camp​; that land is still used for Jewish camp today as the home of the Union of Reform Judaism's Goldman Union Camp Institute, or GUCI. Click the links above to see newspaper articles from 1922 and 1935 respectively. In 1928, the Federation's Family Service and Relief Committee was made into a constituent agency called the Jewish Family Service Society. A few years later, the Jewish Community Relations Council was formed originally as a committee of the Federation and later became its own agency in 1948 in order to address issues of Jewish communal concern in relation to the general, non-Jewish public. 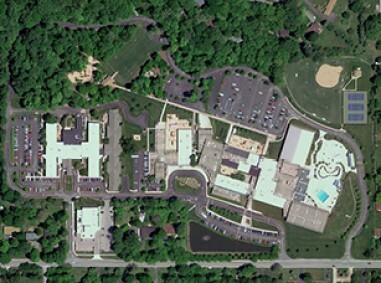 Also in 1948, in response to the ever-changing geography of the Jewish community of Indianapolis, the decision was made to purchase 60 acres of land where the Federation, along with the Jewish Community Center, Bureau of Jewish Education, Jewish Family Services, Hooverwood nursing home, and Congregation Beth-El Zedeck currently reside. Today, there are approximately 150 Federations organized like JFGI throughout the U.S. that are involved with Jews in over 60 countries. 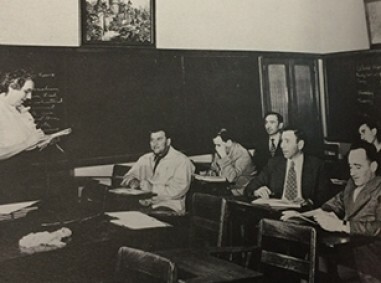 The Neighborhood of Saturdays: Memories of a Multi-Ethnic Community on Indianapolis' South Side book and digital document and image collection recounting the side-by-side lives of Sephardic Jews and African Americans from the 1920s through the 1960s.